For allergens, see ingredients highlighted in bold. May also contain egg, soy, milk. 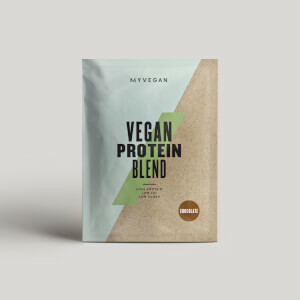 Apple Caramel Flavour:Pea protein Isolate(68%), Brown Rice Protein(15%), Chicory Inulin Powder Instantised (10%), Flavouring( Sweetener(Steviol Glycosides)Flavourings), Multivitamin Powder(Multi Vitamin Blend (Magnesium Oxide, Vitamin C, Ferrous Fumarate, Vitamin E, Nicotinamide (Vitamin B3), Vitamin A Retinol Acetate, Zinc Oxide, Pyridoxine HCl (Vitamin B6), Vitamin D3, Thiamine HCl, Riboflavin (Vitamin B2), Vitamin B12 Premix, Folic Acid, Potassium Iodide),(1.6%), Choline Bitartrate(Choline Bitartrate, Anticaking Agent: Silicon Dioxide) Green Tea Extract powder, Enzymes(Amylase, Lactase, Cellulase, Protease, Lipase), Vitamin C Powder(Ascorbic Acid)(0.2%), Guarana extract powder(Guarana Seed powder, Bulking Agent:Maltodextrin, Colour:Caramel, Guarana Extract, Caffeine (Contains Sulphites)). 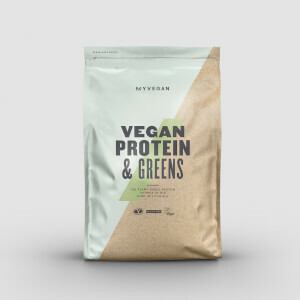 Banana Cinnamon Flavour:Pea protein Isolate(68%), Brown Rice Protein(15%), Chicory Inulin Powder Instantised (10%), Flavouring(Sweetener(Steviol Glycosides)Flavourings), Multivitamin Powder(Multi Vitamin Blend (Magnesium Oxide, Vitamin C, Ferrous Fumarate, Vitamin E, Nicotinamide (Vitamin B3), Vitamin A Retinol Acetate, Zinc Oxide, Pyridoxine HCl (Vitamin B6), Vitamin D3, Thiamine HCl, Riboflavin (Vitamin B2), Vitamin B12 Premix, Folic Acid, Potassium Iodide),(1.6%), Choline Bitartrate(Choline Bitartrate, Anticaking Agent: Silicon Dioxide) Green Tea Extract powder, Enzymes(Amylase, Lactase, Cellulase, Protease, Lipase), Vitamin C Powder(Ascorbic Acid)(0.2%), Guarana extract powder(Guarana Seed powder, Bulking Agent:Maltodextrin, Colour:Caramel, Guarana Extract, Caffeine (Contains Sulphites)). 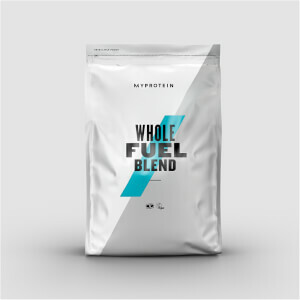 Pineapple and Coconut Flavour:Pea protein Isolate(68%), Brown Rice Protein(15%), Chicory Inulin Powder Instantised (10%), Flavouring(Sweetener(Steviol Glycosides)Flavourings), Multivitamin Powder(Multi Vitamin Blend (Magnesium Oxide, Vitamin C, Ferrous Fumarate, Vitamin E, Nicotinamide (Vitamin B3), Vitamin A Retinol Acetate, Zinc Oxide, Pyridoxine HCl (Vitamin B6), Vitamin D3, Thiamine HCl, Riboflavin (Vitamin B2), Vitamin B12 Premix, Folic Acid, Potassium Iodide),(1.6%), Choline Bitartrate(Choline Bitartrate, Anticaking Agent: Silicon Dioxide) Green Tea Extract powder, Enzymes(Amylase, Lactase, Cellulase, Protease, Lipase), Vitamin C Powder(Ascorbic Acid)(0.2%), Guarana extract powder(Guarana Seed powder, Bulking Agent:Maltodextrin, Colour:Caramel, Guarana Extract, Caffeine (Contains Sulphites)). An Apple Caramel Flavour Blend of Plant Extracts Powder with added Vitamins, Minerals and Sweeteners. A Banana Cinnamon Flavour Blend of Plant Extracts Powder with added Vitamins, Minerals and Sweeteners. 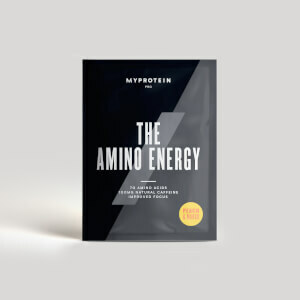 A Pineapple and Coconut Flavour Blend of Plant Extracts Powder with added Vitamins, Minerals and Sweeteners. These not only taste GREAT, but they're awesome to keep in your desk drawer, gym bag or take when travelling. I always add a few extra to my orders simply for the ease of keeping one perfect serve in its original package ready for when you need it.